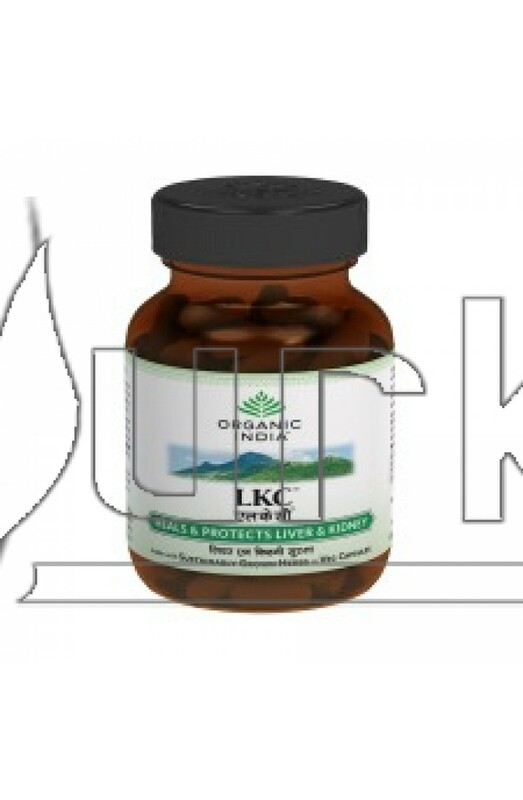 Liver Kidney Care (LKC) is an Organic India, Ayurvedic medicine which NUTRITIONALLY SUPPORTS LIVER AND KIDNEYS. Reduces toxicity by pollution, drugs, alcohol and other chemicals. 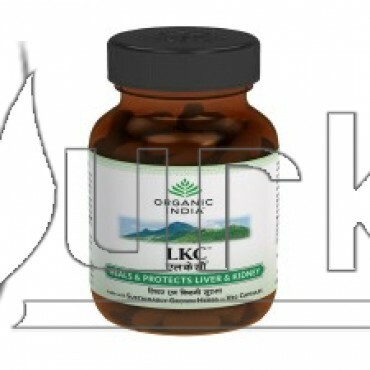 Protects against liver and kidney disorders, like infectious hepatitis and nephritis. Detoxifies and regenerates the kidneys and liver. Has antiviral activity against hepatitis viruses. Effective against hepatic and urinary tract infections. Strengthens immunity from viruses, chemical toxins and other stressors. Dosage:1-2 capsules twice daily with meals for at least one month or more. Safe and recommended for long term use. In viral hepatitis and chronic renal failure, at least 1-year treatment is advised. Strongly recommended to be taken simultaneously with anti-tubercular and other hepatotoxic drugs. Also recommended to people with alcohol abuse problems. Packing: Bottle pack of 60 capsules.